Early “April Fools Day” may have included the Roman Festival of Hilaria, held March 25th, and the Medieval Feast of Fools, held December 28, still a day where pranks are played in Spanish-speaking countries. As early as the 1300’s scholars and writers were writing and referring to pranks and trickery. In the U.K., an April Fool joke is revealed by shouting “April Fool” at the recipient. In Australia the joking ceases at midday and the person playing a joke in the afternoon is then the “April Fool” themselves. In Iran, jokes are played on the 13th day of the Persian New Year (Nowruz), which falls on April 1 or April 2 and has been celebrated as far back as 536 BC. It’s called Sizdah Bedar and is the oldest prank tradition in the world today. 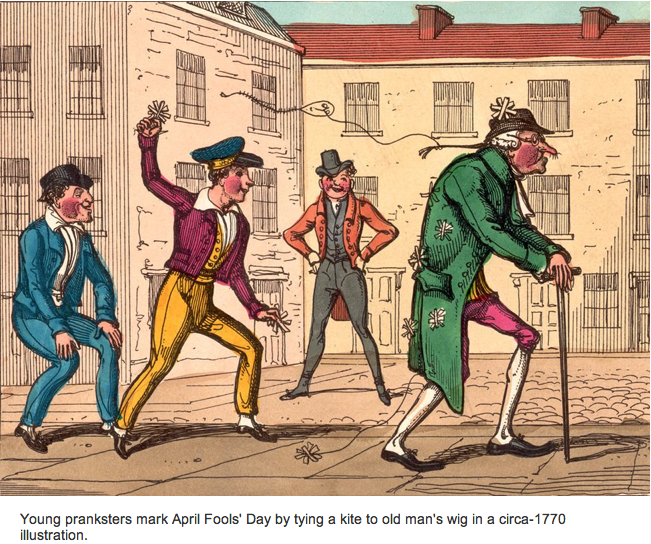 Many believe that April Fools Day originated in this tradition. If you have been pranked before or are the prankster just know that this tradition has been occurring for centuries and looks to continue for many years to come. So mark your calendars and keep alert because April Fools Day looks to be here for a very long time! Language Associates is an experienced with over 30 years interpreting & translating in over 32 different languages. For more information please go to languageassociates.net or call 405.946-1624. One Response to Where Did April Fools Day Come From?